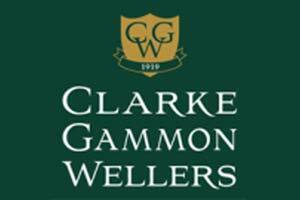 Independent estate agents Clarke Gammon Wellers had, like many companies, over time become inundated with unwanted and unsolicited email messages causing wasted time and man hours. The company was receiving approximately six times more spam mail than it was receiving valid mail messages. Sitec has worked with CGW since 2010 providing IT support, services and new computer equipment for their head office in Haslemere and their branch offices throughout the South East. Sitec researched the problem and suggested that Panda Cloud Email Protection was implemented across the board for all their staff. This solution acts as a gatekeeper and filters email messages before they reach the company. Messages can be white listed or black listed and a single email is sent to each intended recipient with a list of questionable messages that might not be spam but have been blocked. Thus the intended recipient remains in control of their mail and doesn’t lose important messages that may have been incorrectly filtered out. Sitec prepared the Panda system with all 40 of the company email addresses and arranged for the internet to reroute messages through the Panda gateway to be checked before passing on to the main email service. This took a morning to implement and from the company’s point of view was completely seamless. Mail was filtered immediately which resulted in an instant reduction of unwanted spam. CGW suffered no interruption, disturbance or downtime and were able to carry on working whilst Sitec resolved the problem. CGW then enjoyed instant results. Although quite a small project, the implementation was delivered on-time, on budget and to the client’s complete satisfaction. The solution continues to provide benefit to the customer and allows them to concentrate on their core business.